Marketplace open enrollment for 2017 begins November 1, 2016. Consequently, beginning tomorrow, eligible Americans can go to healthcare.gov to enroll in a health care plan under the Affordable Care Act. Likewise, many open enrollment periods for employer-provided health care coverage are also underway. In light of these opportunities, many individuals and their advisers are faced with a number of questions. Following are several frequently asked questions regarding health insurance options and the tax implications of those choices in 2017. Will I have to pay a penalty if I did not to have health insurance in 2016? The Kaiser Family Foundation has estimated that families will face an average penalty of $738 per household if they remained uninsured in 2016. For families not eligible for subsidies, that estimate climbs to $1,450. These numbers reflect the fact that the penalty under the individual mandate has increased since its inception in 2014. In 2014, the penalty per adult was $95, with a maximum $285 per family. From 2016 forward, the increases should reflect only cost of living adjustments. IRS announced last week that the per person penalty for 2017 under IRC § 5000A(c) will be $695 for adults, the same as it was in 2016. If you are subject to a shared responsbility payment for 2016, you may wish to explore your options for avoiding this penalty in 2017 while the Marketplace enrollment window is open. January 31, 2017, is the last day to enroll in or change a 2017 Marketplace plan. 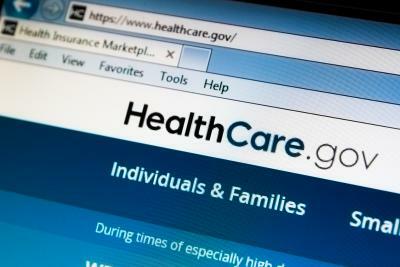 Many employers are also offering open enrollment periods during this time. I have a client who is offered employer-provided health insurance. The employee’s contribution for self-only coverage under the plan is less than 9.69 percent of her household income. The employer also offers family coverage; however, the employee would have to pay a large amount out of her pocket to cover the premiums for her spouse and kids, which she simply can’t afford to do. Her husband is self-employed. What are her options? Unfortunately, because this family was offered employer-sponsored coverage, your client (or her spouse) will not be eligible for a premium tax credit if they seek to purchase coverage for the spouse and dependents on the Marketplace. Premium tax credits are not available if an employer has offered minimum essential coverage that is affordable and provides minimum value. Although the family plan is not really affordable to this family, IRS’ affordability test for the coverage is based only up the cost of the self-only coverage offered to the employee. Because that cost is less than 9.69% of the family’s household income (for 2017), the coverage is deemed affordable. It matters not that the cost of the family coverage is much higher than that. Sometimes called the “family glitch,” this issue has reportedly caused more than 4 million Americans who cannot otherwise afford family coverage to be shut out of health insurance options. On the other hand, this family will not be required to pay the shared responsibility payment because it sounds like their cost for family coverage would be more than 8.16 percent of the modified adjusted gross income of their household (in 2017). It is important to note that the affordability calculation for an affordability exemption from the individual mandate is different from the calculation for the eligibility for the premium tax credit. The latter is the same test used to determine if an employer has offered affordable coverage for purposes of the employer mandate. The former is a special test used only for the purpose of determining whether a taxpayer is exempt from the penalty. Although the family glitch issue has been identified since the inception of the ACA, no solutions have been enacted. It will become an even larger problem as premiums are projected to rise substantially in 2017. I am the only employee of a very small corporation. I am enrolled in an HRA that I use to cover medical costs. My employer offers the coverage under the “fewer than two participants who are current employees” exception to the market reform requirements of the ACA. I would now like to go on the Marketplace to purchase an individual insurance plan. What are my options? You can go online and purchase health insurance on the Marketplace; however, you will not be eligible for a premium tax credit because your HRA is considered minimum essential coverage. (See IRC § 5000A(f)(2) and Treas. Reg. §1.5000A-2). Without a subsidy, it is unlikely that you will find the Marketplace plan to be affordable. If your HRA was only able to provide excepted benefits like dental, Medicare supplement insurance, vision, or long-term care benefits, the plan would not be considered minimum essential coverage and you would be eligible for a premium tax credit (assuming you meet the other requirements). It is important to note, however, that because you have minimum essential coverage, you will not be liable for a shared responsibility payment if you do not enroll in other health coverage. I own a family business which has grown rapidly in the last several years. We employed an average of 56 employees who worked at least 30 hours per week over the course of 2015. That number has climbed roughly to 65 in 2016. We have not provided health care for our employees. Are we subject to any penalties? Beginning in 2016, employers who employ 50-99 full-time equivalent employees are required to offer health insurance that is affordable and provides minimum value to at least 95% of its employees or pay a penalty. This requirement (known as the employer mandate) was already in place in 2015 for employers with 100 or more full-time equivalent employees. The penalty is triggered if one employee goes to the Marketplace and receives a premium tax credit. If the employer has not offered any insurance to its employees, the penalty for 2016 is $2,160 for each employee greater than 30. For calculating the 2016 penalty, you would use the number of FTEs employed in 2015. So, if you employed 56 FTE in 2015, your 2016 penalty (called the employer shared responsibility payment) would be $56,160 [=(56-30=26)*$2,160]. If you had offered health care insurance to your employees in 2016, but that insurance was not affordable (their out of pocket cost was more than 9.66% of W2, Box 1 wages for self-only coverage) or the insurance did not provide minimum value (the equivalent of a Bronze Marketplace plan), you would owe $3,240 for each employee that received a Premium Tax Credit on the Marketplace. No. Although the rules are somewhat complex, IRC § 4980H provides that companies that have a common owner or are in other ways generally related will be treated as a single employer for purposes of the employer mandate.